If over the past six years that I’ve been writing the Dining Dish Blog you have enjoyed any of my posts, if I brought a smile to your face, directed you to a great meal, gave you breaking news on a new restaurant or helped you cook would you take the 30 seconds or less to vote for my blog. 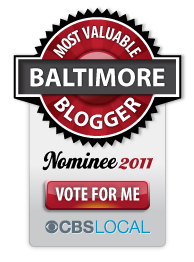 It is Baltimore’s Most Valuable Blogger Awards for 2011 and Dining Dish blog is nominated in the Dining and Entertaining category. 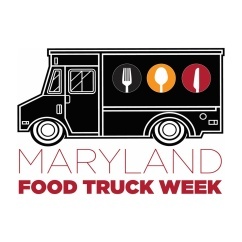 Here is the link to VOTE: http://baltimore.blogger.cbslocal.com/most-valuable-blogger/blog/512-dining-dish/ Click on the vote button next to it...really simple. It takes so little time and you DON’T have to register at the website. You can vote daily up through September 9th. After much deliberation and careful consideration of many nominees, CBS Baltimore has narrowed the field of Finalists down for this year’s MVB. Voting for finalists is open now through September 9th. Let your voice be heard – vote now! If you really, really love me, you’ll tweet this and share it on Facebook. 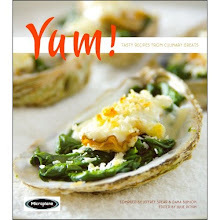 I write about food, restaurants, chefs, cooking, dining because it is a true passion. Food brings people, families, races, nations together. May your table always be full.